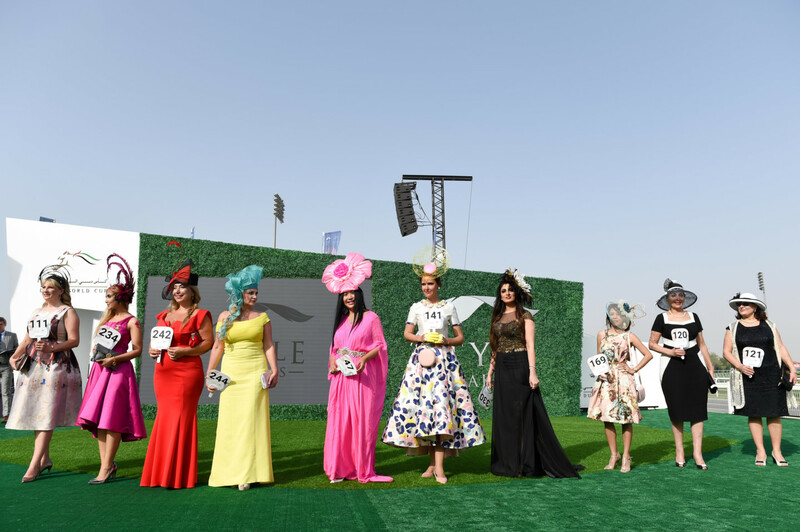 The stakes are getting higher this year at the The Meydan Style Stakes, the fashion extravaganza on the sidelines of the Dubai World Cup, the world’s richest horse race. Competitions will be held on the sidelines with winners to be picked in for Best Dressed Lady, Best Dressed Lady Runner Up, Best Dressed Male, Best Dressed Male Runner Up, Best Dressed Couple, Best Hat and Most Creative Hat. Organisers have announced a raft of prizes for winners including shopping vouchers worth Dh5,000 and spa, restaurant, golf and dress rental vouchers. Entries this year are limited to 500, with each participant receiving vouchers from Banana Republic. Lundberg is a celebrity stylist, entrepreneur, presenter and author. 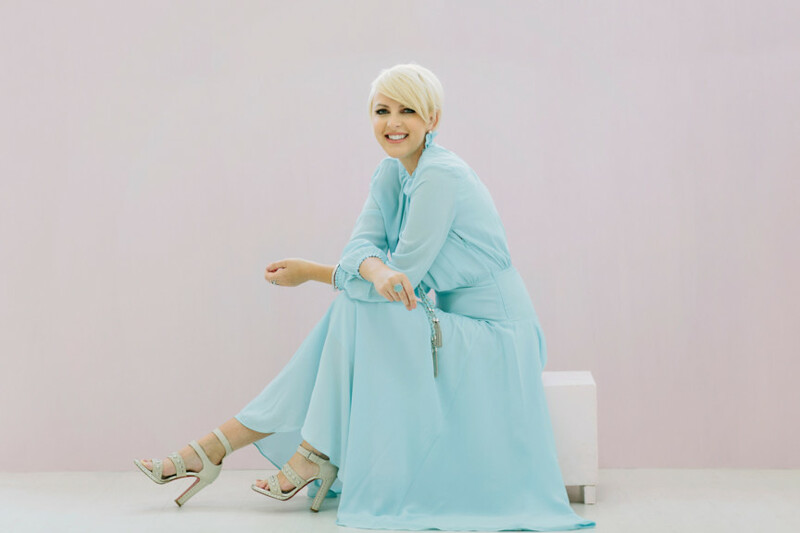 As a stylist to royals and celebrities and business owner, she has won and been nominated for a number of style and entrepreneurship awards, including winner of the Lloyds TSB Creative Promotion, Communicator of the Year at the Scottish Fashion Awards 2013 and 2016. In her writing, she brings all of this expertise to her best-selling books. Q: What is your best piece of advice for first-time Style Stakes entrants? A: Check out the guidelines. You don’t want to be disqualified for wearing something that isn’t racing appropriate. Check out previous year’s winners and shortlisted plus look for style inspo at places such as Ascot and the Melbourne Cup. Q: What should entrants keep in mind when choosing a headpiece? A: Consider [the] shape of [your] face and your body shape. For example if you are petite, choosing a big brimmed hat (even if it’s the seasons must-have) won’t work for you. Everything needs to be in proportion. I have always chosen a headpiece over a big hat for this very reason. The key is also coordination rather than match-match, this way you may even be able to wear your headpiece at another time with another outfit. Q: You have quite a bit of experience in the racing fashion circuit. What are the most important lessons you have learned? Q: What are the main things that you will be looking for when judging the various awards? A: Style and originality, grooming and deportment (make-up, not waving and skipping your way down the catwalk) and interpretations of current trends. Q: What are your three top tips for creating a winning look? 1. Dress for the ‘day’ rather than an evening look. Too many entrants are guilty because the Dubai World Cup runs from day to evening and I have seen a tendency lean to wear more evening looks. Race wear attire is very much day. 2. In my opinion, elegance always wins over flamboyance. Less is more is more. 3. Attention to detail is everything, don’t let your look down because you choose a bag that wasn’t quite right, or shoes. Q: What is the most enjoyable part of the Style Stakes for you? A: When you see the finalists, a collection of super stylish, creative and well put together race appropriate outfits. Breish is one of the most authoritative figures on the Middle East fashion circuit. She worked on the creative direction team with the CEO of luisaviaroma.com, as well as in brand management and marketing in her previous roles at Jimmy Choo and Burberry. She earned a Masters in International Luxury Brand Management from the European School of Economics in Florence, Italy, and a degree in Business Management and Design from the European Business School, London. Breish is a muse to fashion designers and media and brings her extensive fashion experience and industry relationships to Designer-24. Noor speaks English, Arabic, Spanish and Italian. A: Winning a style contest that has hundreds of women participating can be quite overwhelming. The key is to balance and give attention to the item that is under attention. For example, if you’re a runner-up for best hat, make sure your outfit doesn’t overtake the attention off your hat. Keep the focus on the hat, be unique without trying too hard, and look for something that’s original, not done previously so you really stand out. A: Originality. Something I haven’t seen before. Someone who isn’t afraid to take risks, without trying too hard to stand out. 1. Always embrace your shape. Once you know which silhouettes flatter you, filter trends ruthlessly. For instance, if you’re petite and shapely, it’s best to avoid tall columns and billowy maxis even if you love them. Go for a dress with a defined waist and just-above-the-knee hem. 2. Edit your closet before the big day. Clothes need breathing room. You should be able to see every item without rummaging. Consider donating anything you haven’t been wearing for a while. 3. Be confident. No one can be you. A: To see everyone’s sense of style. All entrants are from different backgrounds and have travelled from different parts of the world to attend Dubai World Cup. So I really enjoy seeing that reflect in their style. Pribylova is the milliner/designer behind the internationally awarded London hat label Ana Bella Millinery. Her designs have shown during London Fashion Week, featured in Vogue, and the front pages of various magazines. Pribylova attends race days all around the world, and is known for her style and eye-catching hats. She’s also won the Best Dressed Lady at the Style Stakes, after she won the Best Hat in 2016. Ana Bella Millinery can be purchased through the Meydan Hotel or online atanabellamillinery.co.uk. A: Racing fashion is elegant, modest and different from every-day or evening wear. The Dubai Style Stakes have a dress code that you need to abide by, and it’s helpful when you are planning your outfit. Make sure you feel good in your outfit, and arrive with plenty of time to register for the style awards so you don’t get stressed. Q: What should entrants keep in mind when choosing a head piece? A: I always love to see entrants take risks in their millinery, this doesn’t necessarily mean bigger is always best, but something unusual that still looks elegant, suits you, and catches the eye. Q: You have quite a bit of experience on the racing fashion circuit. What are the most important lessons you have learned? • Check how long it will take to the track, keeping in mind you might encounter traffic or go earlier. • Lay out your ticket, shoes, dress and entire outfit the day before helps avoid you forgetting things, and make sure your handbag is packed with essentials for the day. A: A great hat, individuality, and elegance. 1. Complimenting colour combinations that are eye-catching. 2. Sometimes it comes down to the little things in an outfit that can win a style award, so take care with every part of your outfit, shoes, hair and gloves. 3. Be a little different so you stand out from the crowd. McMahon is the Fashion Director of Esquire Middle East. 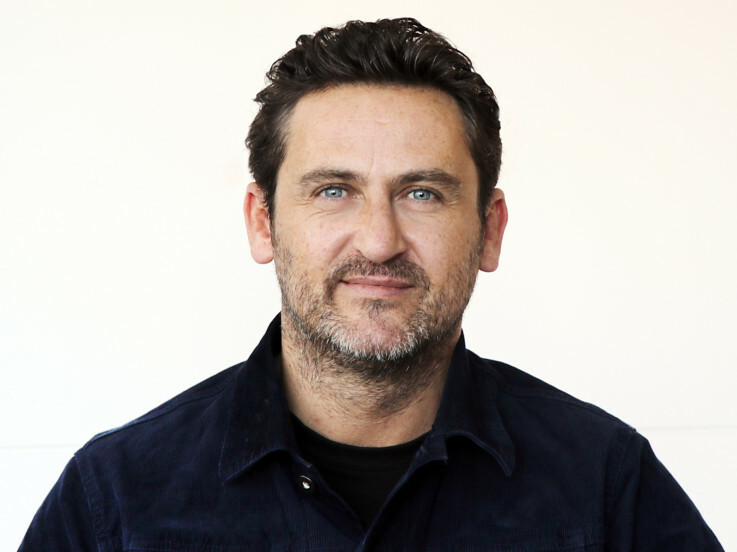 He leads the brand’s fashion team from its offices in Dubai Media City. During his time in the UK, McMahon built a reputation as a successful fashion stylist, having contributed to magazines such as Vanity Fair, i-D, Esquire UK, British GQ and Nylon Men. A: Embrace it, have fun with it, don’t take It too seriously. A: Attention to detail, use of textures and understanding of the right colour palette always come high up in my list. Q: What are your favourite fashion trends currently and are there any that you would like to see transition to racewear? A: I am loving all things 1990s at the moment such as logo mania, mad prints, bold colours. Although these trends maybe hard to translate into racewear, it might turn into something really interesting. Q: Do you have any advice on trends for guys in particular? A: Menswear seems to be going through a bit of transition at the moment and the more slimmer silhouettes in recent times are being updated with bigger shapes and a looser fit. Tailoring for example has been fitted for a number of years but we can see on the catwalks unstructured silhouettes and higher waists coming through. Al Gabbani is a Dubai-based fashion designer, entrepreneur, humanitarian and influencer. She’s won multiple style awards and recognitions over the years including Cannes Style Icon of the Year 2017. She currently represents several international and local brands from across the region. Tickets for Apron Views where the Meydan Style Stakes takes place are priced at Dh350, which also includes entry to the after-race concert with Gwen Stefani. For more info, go to dubaiworldcup.com.